MBC Technical was founded in the summer of 2007 by Mark Clark. Mark studied Sport Science with Glamorgan University, Wales and is a professional Boot Fitter and Ski and Snowboard Technician with many years experience of running a busy Ski / Snowboard equipment store and workshop, working in Chamonix, France and with well over 10 years working in retail Mark knows alot about customer service. Mark is also a BMC trained Mountain Leader and has clocked up hundereds (if not thousands) of miles hiking, climbing and mountaineering. Skiing was always my most looked forward to pass time for more than a decade. To then work in the winter sports industry for as long has been great. With memories of bad fitting boots and always being amazed at how many people have the same problems it was a natural step to try to help. Well fitted boots can only lead to more comfort, more time on the mountain and of course, more FUN! 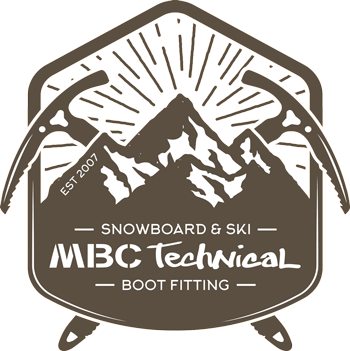 SHL™ Stop Heel Lift – boot fitting pads were invented, developed and brought to market by MBC Technical. Volume Reducers and Heel Raises compliment the range which together can solve nearly all boot fitting issues. Go to the Boot Lab for help with boot fitting issues.